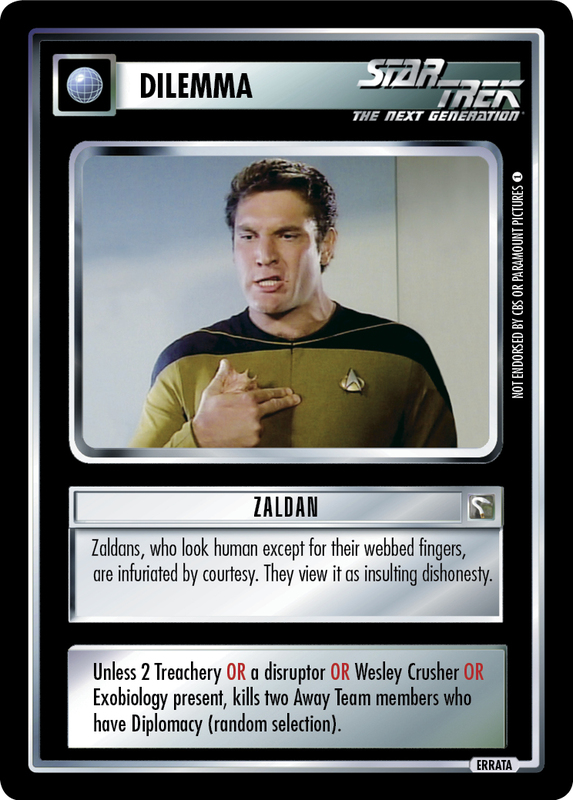 Zaldans, who look human except for their webbed fingers, are infuriated by courtesy. They view it as insulting dishonesty. Unless 2 Treachery OR a disruptor OR Wesley Crusher OR Exobiology present, kills two Away Team members who have Diplomacy (random selection).